A1 Overseas International ships to Niger! Call 1-800-450-5319 or fill out our form for a FREE quote! A1 Overseas International, an international auto transport organization, makes it possible for you to experience Niger from the comfort of your own car. 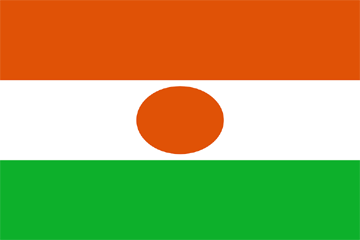 Being Niger has fairly standard rules for importing and exporting a vehicle. you will find this experience to be quite painless. If you have plans to take a trip to Niger sometime in the next few months, make sure to hire A1 Overseas International if you want to take advantage of the best service. The first thing you will should remember about international automobile transportation is that you paperwork will play a big role in the process. In order to get your car back in your possession once you arrive in Niger, having the right documents will be the only thing that makes this possible. You can hire an agent to pick up your vehicle, but they will need to present specific documentation as well. When choosing a method of transportation, consider which method will cause you the least amount of stress. Some shipping options are better than others for various reasons, but highly valuable automobiles or antiques should be transported inside of a container. As long as the vehicle is operable, you can have it transported on the deck of the ship, but without four walls of protection, your vehicle will be at greater risk to damages. Take the value of your vehicle into consideration before you pick a method of auto shipping. The cost of repairs might end up being a much more expensive bill than you would have paid if you would have given the shipping method a little more thought. Whether you or an agent will be getting the vehicle out of customs hands, make sure someone is on time on the delivery date. Fill out the form or call 1-800-450-5319 for more info and a FREE price quote on boat, motorcycle and car shipping!